Welcome to the 21st century, where creativity thrives and robots are replacing mundane task. This is an exciting period for you, but of course, that’s not my main focus today. I have important things that I need you to experience and understand in life, understanding it early or late is fine, as long as you take the effort to do so. You’re now the youngest of the family, you stay in a cosy and humble home that mum and I built together. You’re well protected by us and your elder brother who is turning 2 in 6 months time. As you grow older together, he will be your next mentor in life to advise you after us. Mentors are important, as they help you grow as a person physically and mentally. Being youngest means you have other opportunities to embrace. You may have a strong character on the surface, but I believe you have a heart of gold. Some opportunities allow you to flourish, while others make you falter. Don’t despair, because the world is filled with challenges for you to take on. I want you to be gritty, hungry for learning and always pick up from the failures you experience in life because you’ll need them a lot in your journey. Believe that not everything will go your way, or even our way, but through determination and grit, we’ll figure something out. A solution will be born when you put your heart to everything you do. Passion is a rough one to deal with. People who are highly passionate about what they do can tell their life stories all day. They can tell you about their journey and the sacrifices they took to reach where they are. All I’m asking of you, is to listen to their stories. Tessa, I hope you believe in second chances. Please understand that people are like flowers, we bloom and excel at different timings and stages in life. Don’t despair cause you did badly in one semester, but think ahead on how you can improve on it. If you missed the boat, it’s not the end of the world. Lessons from Howard Schultz on how insistent as he called the interviewer( one of the co-founder of Starbucks) and asked what caused him to not get his job in Starbucks, or the shareholders rejecting his proposals. Being persistent might help you at times, being adaptable makes you manoeuvre across difficult situations when you collaborate with your peers/classmates/friends. Curiousity is a strange thing that’s found in your mind. Sometimes it keeps you awake, sometimes it keeps you wondering why. 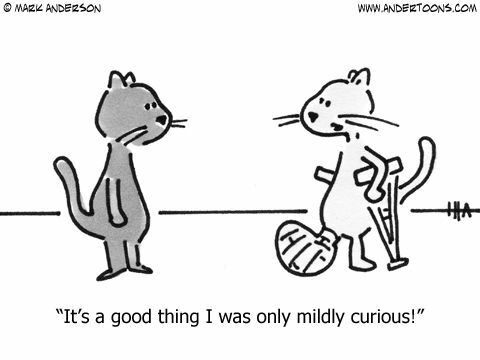 Curiousity is the single ingredient in life you need to survive and defy the rapid changes that occur in the world. Everyone around you wants you to stay curious so you’ll keep on learning. Keep curiousity close to your heart and you’ll progress well. There’s a lot of work for us to get you started on your first day of school. First of all, don’t be afraid of challenging your teacher if you feel it goes against the values that you hold. Don’t challenge aggressively and be mindful about why you feel it’s wrong. Consider people’s emotions when necessary. You’ll be practising all of that for the real world when you go out to work. I might not be able to tell everything to you at one go, but as we grow up together, we’ll go through this together. Being Tessa, you’re the greatest asset.